Ford Fiesta Running Costs, MPG, Economy, Reliability, Safety | What Car? If you are hoping the Fiesta comes as a budget option, you’ll be mildly disappointed; compared with rivals such as the Skoda Fabia, it’s actually quite pricey. Discounts aren’t as hefty as you might expect, either, although the Fiesta is predicted to hold onto its value better than many rivals. If you’re buying on PCP finance, as many small car buyers choose to do, the Fiesta will have higher monthly repayments than rivals – namely the Volkswagen Polo and Skoda Fabia – on the same terms. On the plus side, the Fiesta is cheaper than many rivals to run as a company car, thanks to its low CO2 emissions, while monthly leasing rates are also temptingly low. Entry-level Style trim is best avoided; you have to make do with steel wheels and the standard infotainment system is decidedly basic, although you do at least get air-con. Our favourite trim, Zetec, is one rung up the ladder and brings alloy wheels, a heated windscreen, front foglights, a smarter-looking interior and a much more advanced infotainment package. Titanium trim is also worth a look, adding cruise control, power-folding door mirrors, keyless start, automatic lights and wipers, plus sat-nav. ST-Line models add a sporty twist with stiffer suspension, 17in wheels and a bodykit should you need to satisfy your inner boy or girl racer. SUV-flavoured Active trim gets a ride height that's 18mm higher and is available in three trim levels. Active 1 is based on our favourite Zetec trim and is the one to go for; Active B&O Play gets the same kit but has a Bang & Olufsen sound system and Active X adds some luxuries but raises the price considerably. In fact, posher ‘X’ versions of any trim are too pricey for us to recommend. The same goes for the range-topping Vignale. 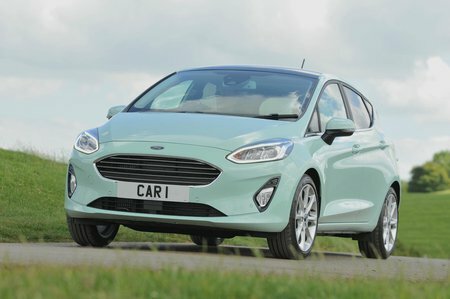 The latest Fiesta is too new to have appeared in the 2018 What Car? Reliability Survey, but the previous generation was awarded above-average marks for reliability. It bettered the Peugeot 208 and Vauxhall Corsa. Given that the latest Fiesta shares many nuts and bolts with its predecessor, the signs are promising. The Fiesta’s standard warranty lasts for three years or 60,000 miles; this is broadly in line with the class average, if some way short of the five-year/unlimited mileage cover offered on the Hyundai i20; the five-year/100,000-mile policy of the Toyota Yaris, or the seven-year/100,000-mile cover on the Kia Rio. You can add an extended warranty that’ll cover your car for an extra one or two years, but you’ll need to sign up for it before your new Fiesta is first registered. 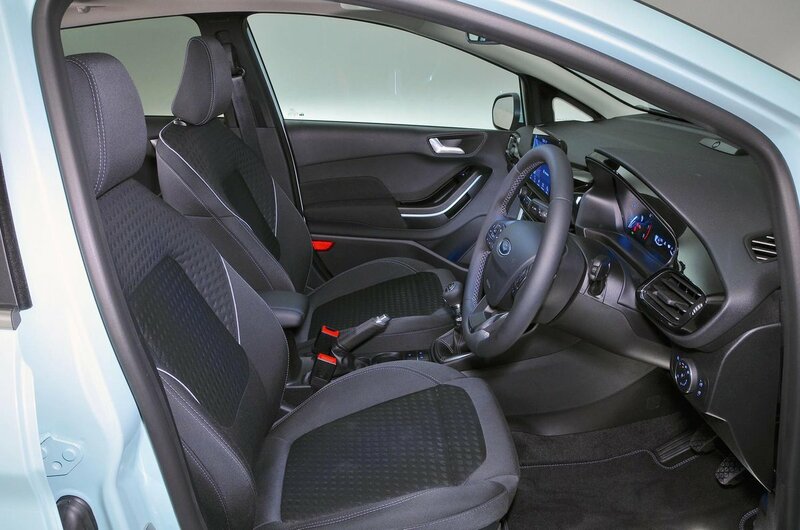 All Fiestas come with seven airbags, lane-keeping assistance and Ford’s MyKey system – a programmable ignition key that can be used to limit the car’s top speed, mute the sound system and prevent the stability control system from being disabled. This should give you some peace of mind when you hand over the keys to somebody who has recently passed their driving test. Upgrade to Titanium trim and you’ll also get traffic sign recognition and driver alertness detection, while blind spot monitoring and cross traffic alert (a system that warns you of approaching vehicles when you’re backing out of your driveway) are on the options list. However, the big disappointment is that automatic emergency braking (AEB) doesn’t come as standard on any model. 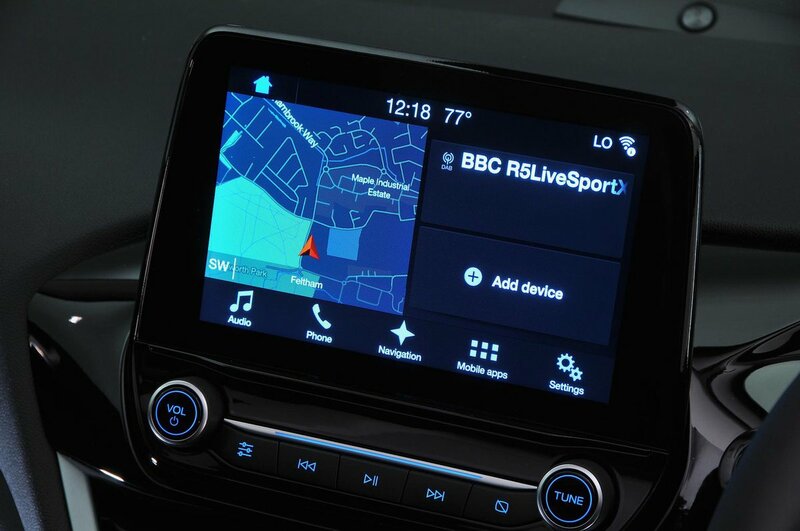 It’s reserved for the options list as part of the Driver Assistance Pack, which also includes automatic high-beam assist and adaptive cruise control. The pack isn’t available at all on the ST hot-hatch models. The Fiesta was awarded five stars (out of five) for safety by Euro NCAP. It was found to be better than the Ibiza at protecting child occupants, but inferior at keeping adult occupants safe and protecting pedestrians. All versions come with an engine immobiliser to deter thieves, while Zetec models and above also have a Thatcham-approved alarm.